A long time ago, when people were lived in a cave, the space already had the structure. The problem was the way of reinforcing and how to live in the cave, and that was their hope for the space, we suppose so. Now, a cavity was made in a house of which already had the structure. The cavity is a traffic line into the space as a main entrance. After passing through the entrance, there is the air-well void, and the void shows an original wooden structure. The space used to a folk interior, and it was a problem to leave or not. Then the essentials were left, and the others were dismantled. An outer wall, which was made by soil, was finished by Japanese white plaster. Especially, TOKONOMA (An alcove in a Japanese house for displaying a flower arrangement or hanging scroll of calligraphy or painting.) 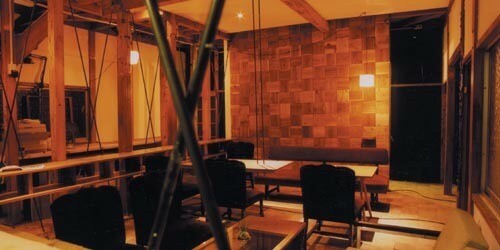 was finished by Japanese black plaster, and we left a form of its. A new structural wall having a size of 2.7M×2.7M exists between the public-use space and the private-use space, dividing them softly. 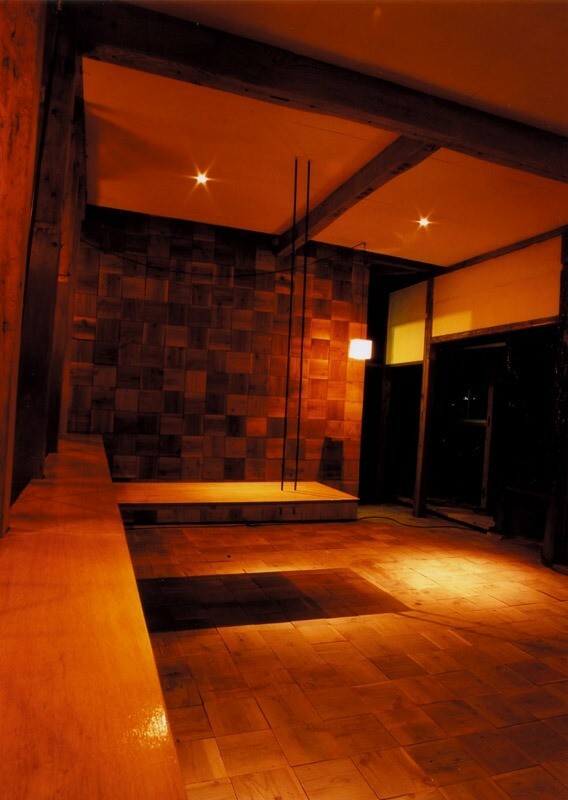 And to connect the new structure with original one, many planks having a size of 20cm×20cm were applied to the floor and the new wall, as the module. 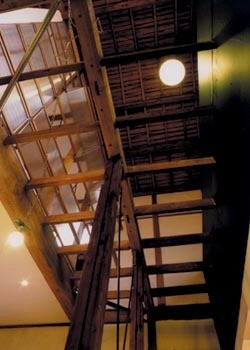 To give the sun light to the first floor, an upper floor’s passage is made by louver. All elements are designed so that formed one space, affecting each other. 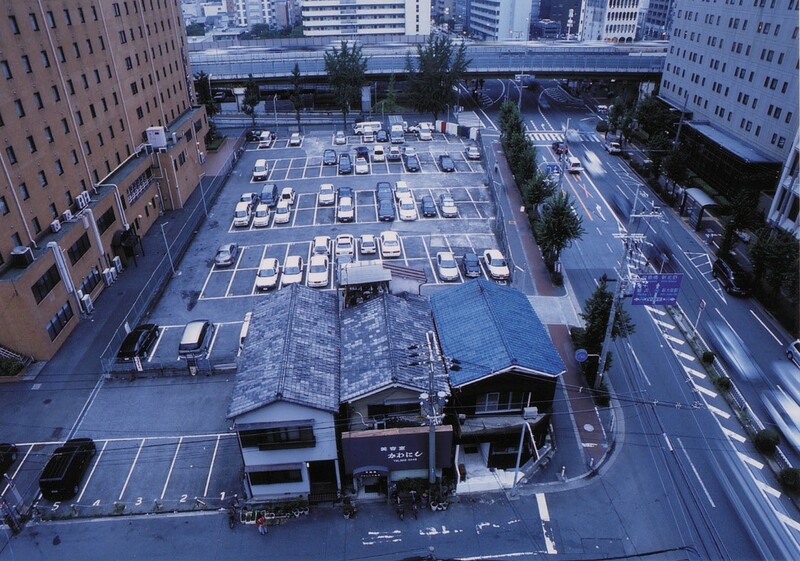 The place around the site intended to change from residential district to business district but, because of economic downturn, it has a lot of parkings these days. This house survived the situation by some fortuity, and it is given a part connecting the remembrance with the place by this project. 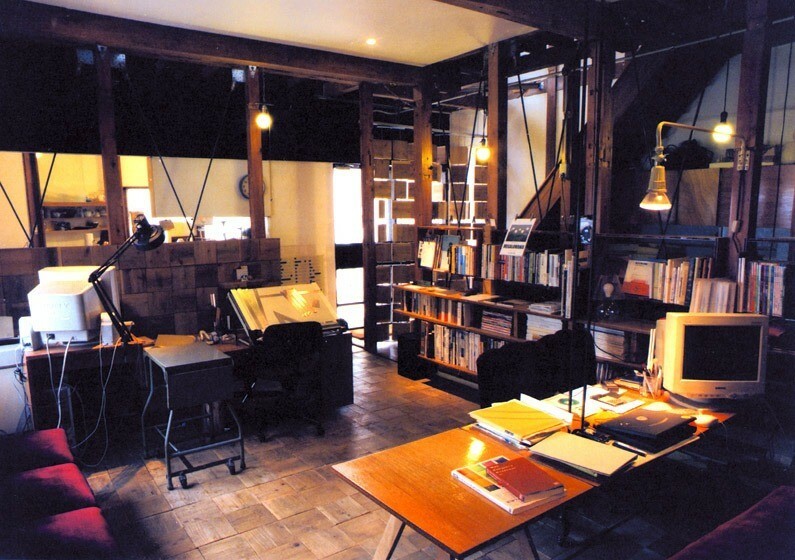 The original house is Japanese common timber-framed house, which is 30 years old. 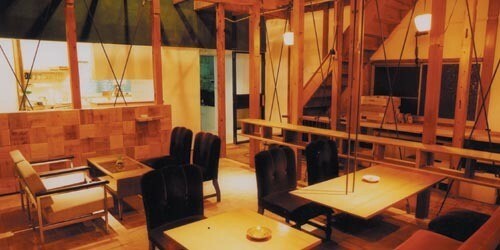 The house was leaning somewhat to one side because of the earthquake, it seemed that the condition was not so good. The inside of the house was divided into many rooms, and it didn’t match with new situation. This project recomposes and organizes these factors. The house faces to the city because a perimeter fence was dismantled. The exterior finish is the black coating material, which is covering an original sprayed-tile wall. 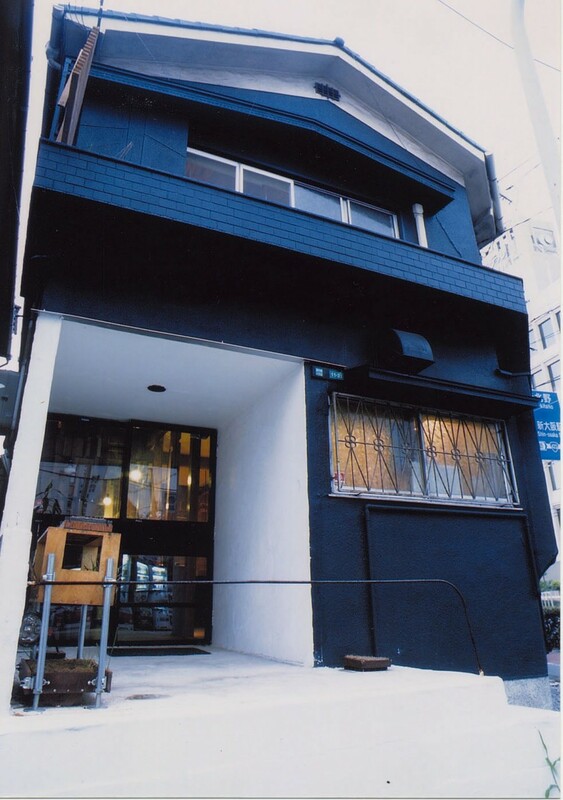 And the black painted original house exists absently, on the other hand, a white cavity exists clearly as an entrance. 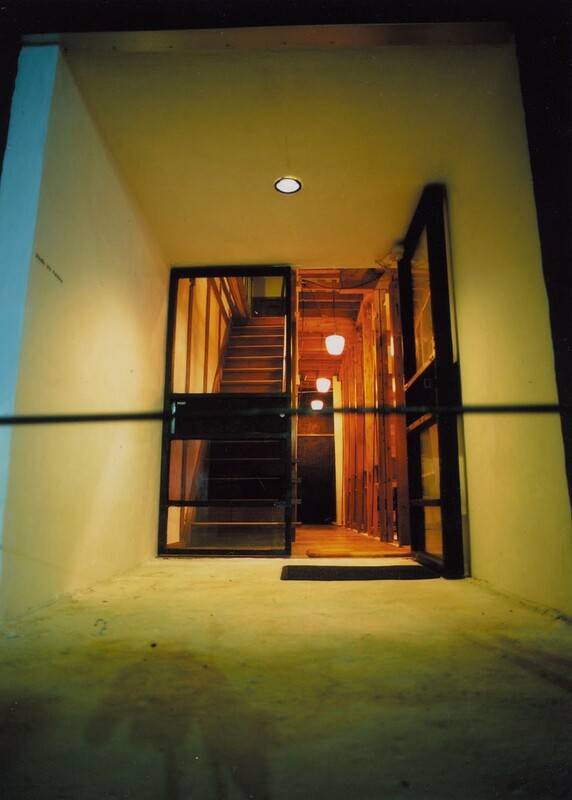 The white outside stairs is leading people to the level of entrance from a road, and a door, which sets far back from the road, is drawing the people into the space. The cavity is one of a way to observe to know, to think, and to return. This house exists as a cell of the city. Copyright © 2008 Studio In’s Factory All Rights Reserved.